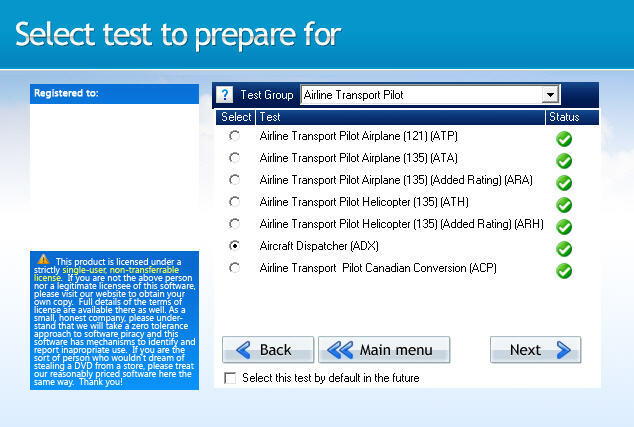 You don't need to spend a lot of money and time to pass your ADX airline dispatcher test. All you need is our inexpensive software. You can download it below, try it, and pay for it only if you like it. Hundreds of users have scored very highly on their ADX test with only a few nights study with our software. No nonesense, no wasting your time in some classroom on somebody else's schedule. Just use this software and pass the test.. it's that easy. Unlike books and other materials, our software updates itself using the built-in LiveUpdate feature. You always have the latest and greatest available study material from us at no extra charge. 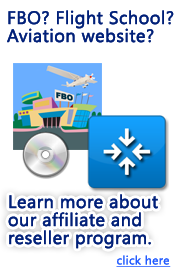 We have content experts who work continuously to make sure that the question bank is as up to date as possible with the latest FAA changes. 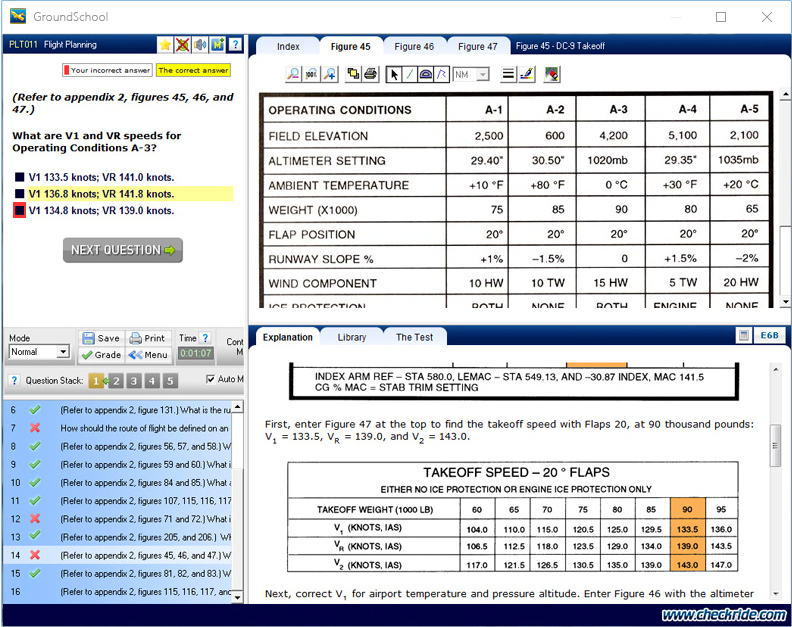 This software can be used to prepare for all of the ATP Part 121 and 135 Airplane and Helicopter tests plus Airline Dispatcher. In fact, this is our standard "ATP Package" of which ADX is one variant. The Federal Aviation Regulations spell out exactly what you need to do and what experience you need to have to become an aircraft dispatcher. We've quoted the relevant section below (please note: there's a chance that the regulations have changed since we wrote this page, though in general we believe that the below should be more or less current) for your convenience. No person may act as an Aircraft Dispatcher (exercising responsibility with the pilot in command in the operational control of a flight) in connection with any civil aircraft in air commerce unless that person has in his personal possession an Aircraft Dispatcher certificate issued under this subpart. Sec. 65.53 Eligibility requirements: General. To be eligible to take the Aircraft Dispatcher knowledge test, a person must be at least 21 years of age. Comply with the requirements of 65.57. Aerodynamics relating to an aircraft's flight characteristics & performance in normal & abnormal flight regimes. A Flight Service Station Specialist. In aircraft ops, performing other duties that the Examiner finds provides equivalent experience. A statement of graduation issued or revalidated under 65.70 showing that he has successfully completed an approved Aircraft Dispatcher course. An applicant for an Aircraft Dispatcher certificate must pass a practical test given by an Examiner, with respect to any 1 type of large aircraft used in air carrier ops. 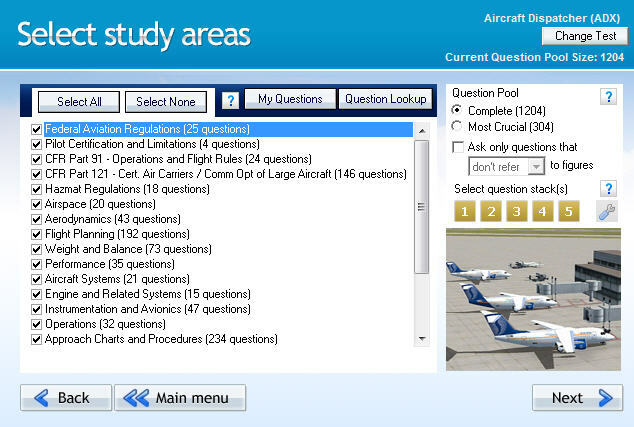 The practical test must be based on the Aircraft Dispatcher Practical Test Standards on items in App A of this part.